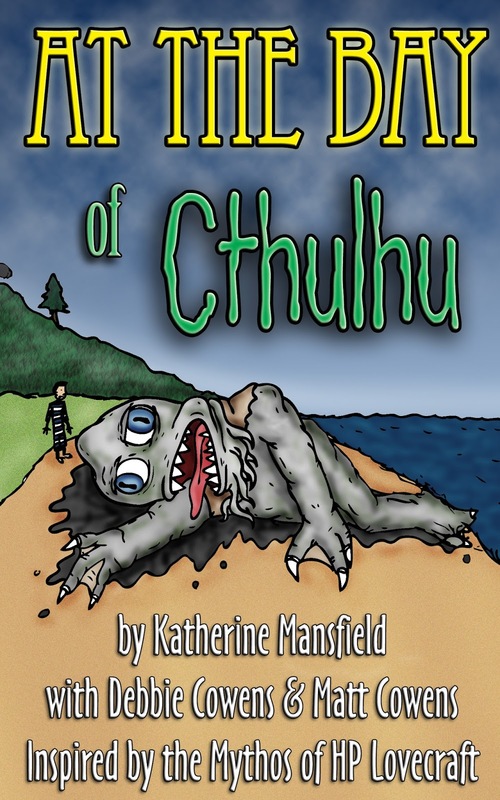 Following on from Mansfield with Monsters, At the Bay of Cthulhu is a Lovecraft-inspired reimagining of Katherine Mansfield's classic novella At the Bay. 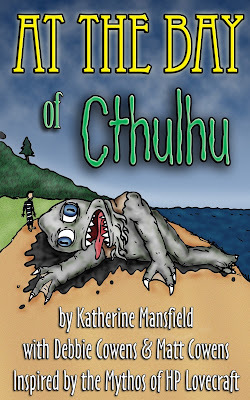 In this version we have twisted the colony at Crescent Bay to an Innsmouthian breeding ground for intrigue, murder, supernatural summonings and monstrous transformations. "The sun was not yet risen, and the whole of Crescent Bay was hidden under a white sea-mist, shot through with tendrils of corrupt, blackened droplets. The big bush-covered hills at the back were smothered; the silvery, fluffy toi-toi recoiled at the touch of the creeping darkness, fell limp on its long stalks, and all the marigolds and the pinks in the bungalow gardens soured under its dread influence. It looked as though the sea had beaten up softly in the darkness, as though one immense, oily wave had come rippling, rippling—how far? Perhaps if you had waked up in the middle of the night you might have seen a clawed, stumbling fish-giant staring in at the window and gone again...."
It's available as an ebook from Amazon for $0.99.